Width . . . . . 44'-0"
Depth . 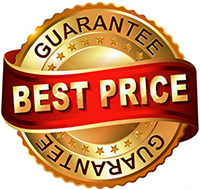 . . . . 58'-0"
Our "Best Price Guarantee" ensures you get the lowest possible price! Housing components fluctuate daily, call or fill out the form. Welcome to the Cedar Grove House Plan. This ranch style home is part of our Slab Grade Collection of home plans. 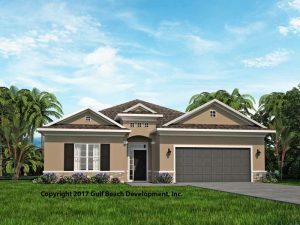 The exterior features a very elegant look with pitched roofs combing gable and hip section. The exterior finish can be stucco or siding with many accent options like cultured stone. 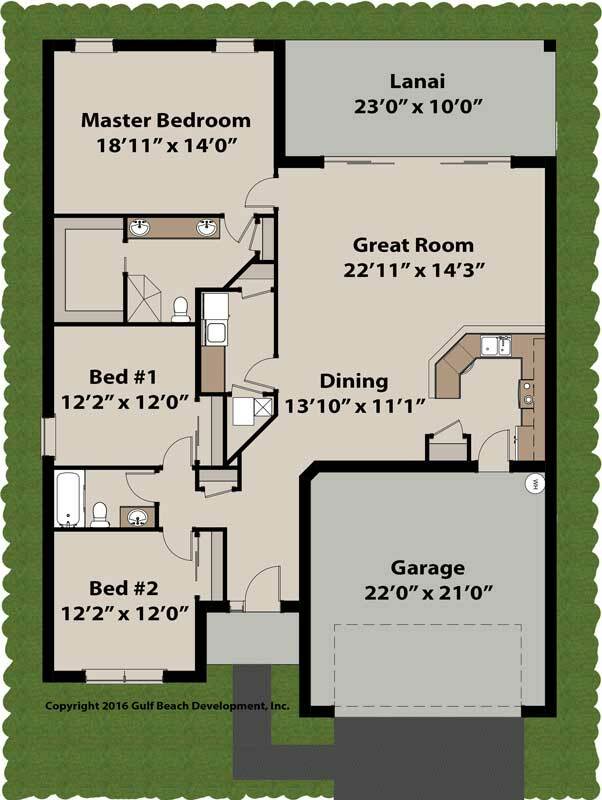 The three bedroom layout has large rooms for its overall size making the best use of every square feet in the home. The Master Suite includes a long double bowl vanity sinks, custom tile shower and huge walk-in closet. The open concept of the Great room, Dining and Kitchen area open up to the optional four panel rear slider. The Kitchen design includes a long raised snack bar making this home perfect for entertaining. 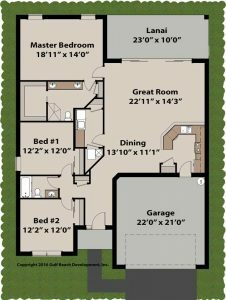 At 1,755 living square feet area how many homes have modern air condition laundry rooms with granite fold top like this house plan does? 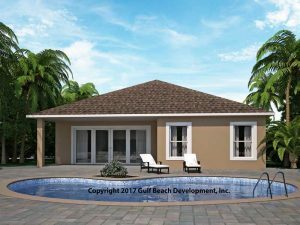 The large rear covered Lanai makes it perfect to get out of the Florida sun but yet enjoy any desired outdoor activities. 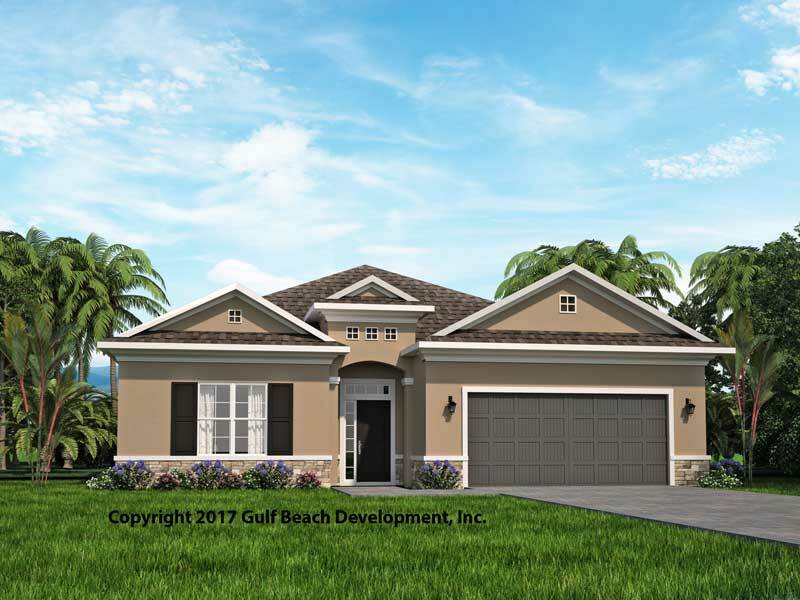 If your planning on moving did you know our new construction homes often have very similar cost monthly cost when you combine the mortgage payment and utilities. New homes are only slightly more but the savings you receive between energy use, insurance and energy efficient rebates often make the best choice. Reach out to your local certified Gast Homes real estate agent and lets show you what we can do for you. 9' interior ceiling heights options. Impact rated exterior windows & doors options. Insulated concrete form (ICF) exterior wall options. Building Performance Institute, BPI Certified Inspection. Blower Door, ASHRAE, Duct pan Quality control testing. Site Development, Scattered site, Single Family, Condos and Townhomes. 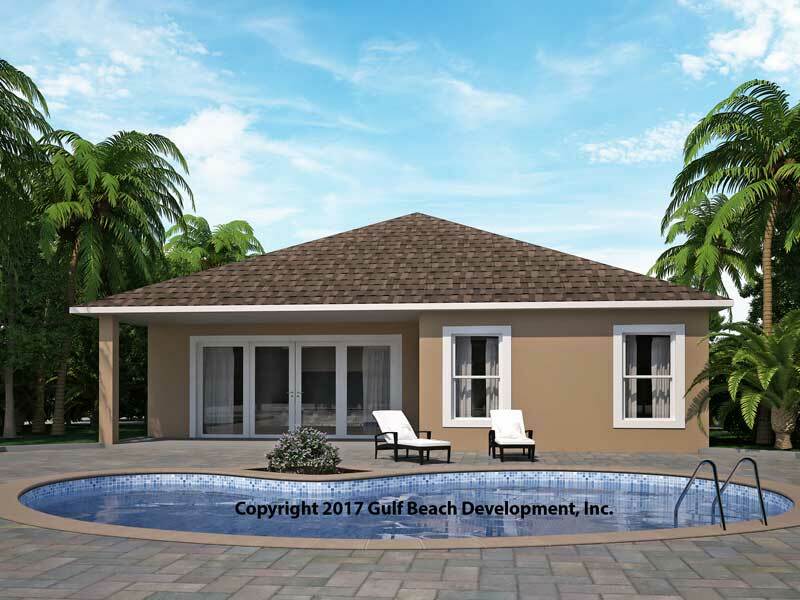 Disclaimers: Copyright 2016 Gulf Beach Development, Inc. All rights reserved (Copyright Protected) CGC1521427 This home may reflect options not included in the base price. Pricing is subject to change based on jobiste locations.